From its beginnings in some of the freshest, cleanest lakes in the world and the Prairie soil that grows the golden barley and wheat, beer has long had an attachment to Canada. Beer has long been a staple in this country. Whether enjoyed at a remote northern lake deep in the Boreal forest or while watching the fast-paced action of our national winter sport, there is often as much pride in the beverage in the bottle as there is in the athletes wearing the red Maple Leaf on their chests. But how has the golden beverage become so uniquely intertwined with Canadian culture? The answer is in the brew – it's pure gold. It’s the color of a cold, crisp beer in a frosty glass looking back at you. It is the pride and the passion that we have for beers we deem worthy to bear the Made in Canada label. 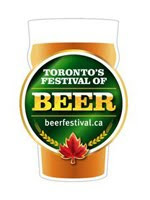 The collaborative nature of today’s craft brewers – from sharing and learning from each other, to developing unique one-off brands for their customers, creating unique blends in partnership with competitors, and brewing traditional casks with modern brewing techniques, all contribute to a thriving beer culture in Canada, which can be seen in full swing at Toronto’s Festival of Beer!